I just love bringing the outdoors in! Bringing reclaimed wood into a space really achieves that. I should note that you don’t have to be resigned to farmhouse style to make reclaimed wood work in your space either. 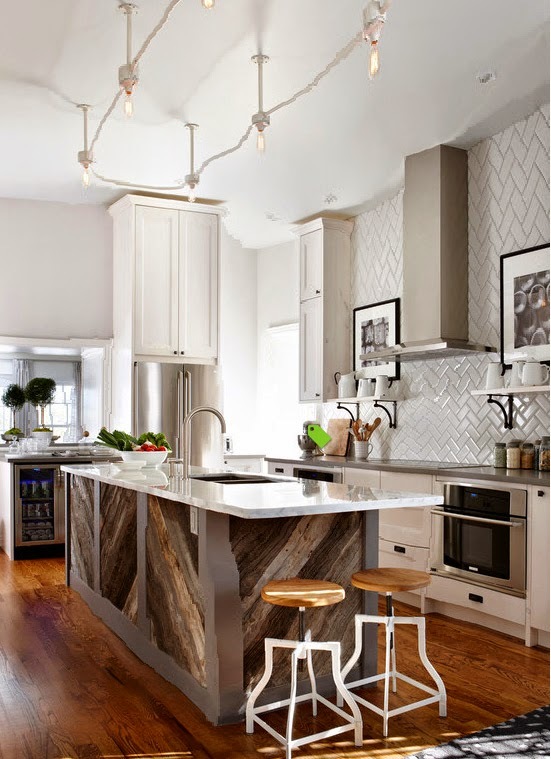 Not only that, but reclaimed wood can be very, very chic! The reclaimed wood dining table above is such a great example of the chic-ness that can be reclaimed wood. 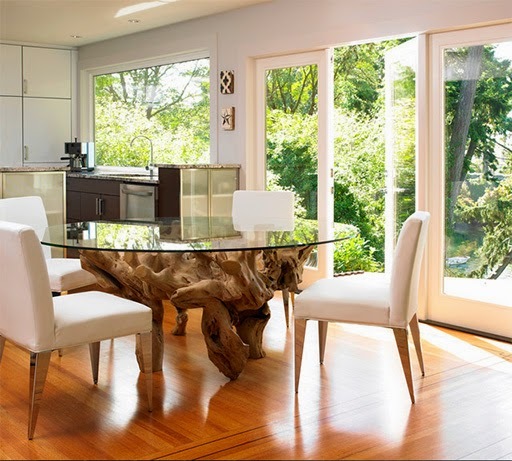 Design company, The Sky is the Limit Design, creates such a stylish juxtaposition by combining this root wood dining table with the contemporary chrome leg dining chairs. Take a look at these other great ways to introduce reclaimed wood into a space. 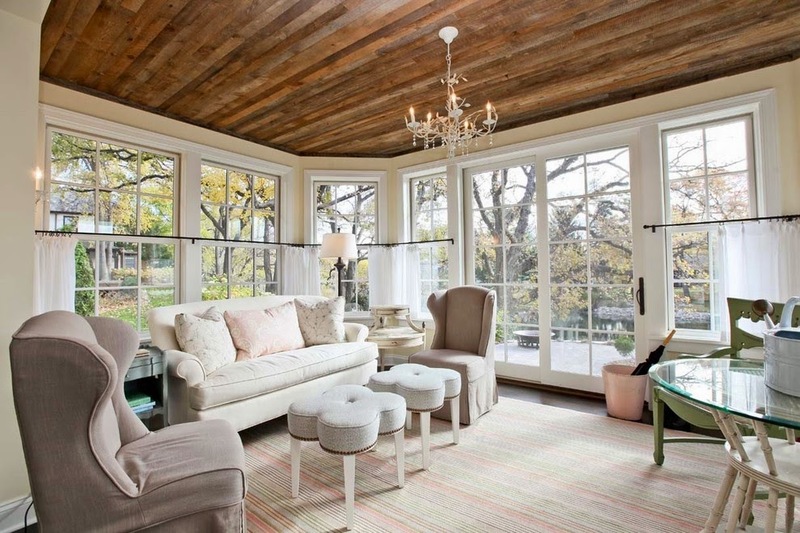 Against the cream color palette this reclaimed wood ceiling above really pops. Designer Martha O’Hara creates a lovely sunroom. Her use of the rustic wood slabs on the ceiling gives this room a special cottage-charm. It all just comes together quite nicely, especially with the chandelier! I’d absolutely enjoy relaxing in this room. What do you think about the uses of reclaimed wood in the rooms below? Stunning antique Moroccan doors accent this feminine, purple living room. This room was designed by Rafael de Cárdenas for model Jessica Stam’s Manhattan apartment. Stam says these reclaimed doors were already installed in the apartment when she moved in. Winning! 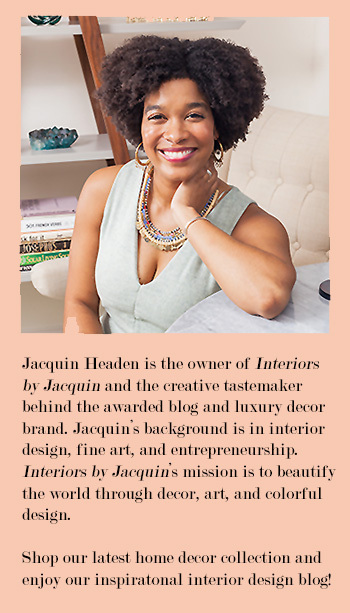 Let’s hope my next home comes with one-of-a-kind antique, Moroccan accents. A minor request for my realtor. Lastly, for those of you who haven’t found that one-of-a-kind reclaimed wood statement piece, you can still bring the outdoors in with high-quality wall paper that resembles weathered planks of wood. Below, check out this fab new wall paper from Thibaut, which is scrubbable vinyl for those who are durability conscious. 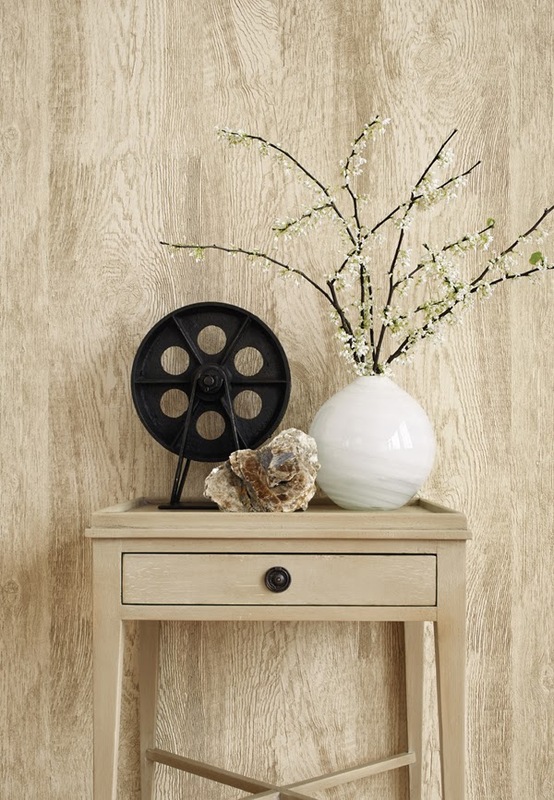 Blog CozyStylishChic.com has a great article on smart alternatives to wood paneling. Take a look! So now that you’ve seen the many ways you can include reclaimed wood elements in your home, which reclaimed wood feature shown here do you like best? Do you have any reclaimed wood elements in your home currently?